Hi, it’s Wolf Whitzer with a GGN comedy satire newsflash. It has been confirmed that Simon Wolfell has resigned as musical entrepreneur at the Greenygrey because of the behaviour of his human parallel, Simon Cowell. 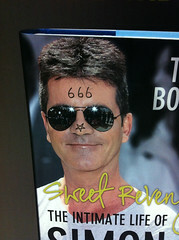 Simon Cowell has always been a controversial human parallel for the Greenygrey. His X Factor television series made some people’s dreams come true, but also made fun of many more. Moreover, it tried to control the charts and influence the music industry to the detriment of many hard working bands. While Simon Cowell might have the X Factor, and spend his time looking for the X Factor within musical acts, but he has now lost the G Factor. This is because the Cheryl Cole fantasising fifty-something X-G Factorer got his friend’s wife pregnant while dating Carmen Elektra. Carmen recently revealed that she found them together, but Cowell claimed they were only friends. I think forty-something Carmen would be much better off with other British celebrities, such as our very own Marc Latham. Suicidal Tendencies, lyrics in One Too Many Times, off How Will I Laugh Tomorrow When I Can’t Even Smile Today, 1988. Hi, it’s Simon Wolfell, musical entrepreneur at the Greenygrey. 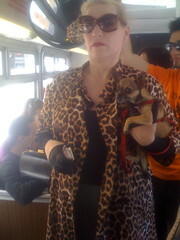 I heard the howl for my services this week, and I think I’ve got the G-Factor, so here I am. I’ll try not to create too much chaos here. Yes, we were alerted to Suicidal Tendencies by Marc Latham, when he credited them as an influence in his first poetry collection. As well as trying to escape to the California Dream with bands like Motley Crue and Aerosmith, Marc also used to like the socially conscious lyrics of bands like the Suis, Megadeth and Rose Tattoo. Guns N’ Roses kind of combined the two, like green and grey are combined in Greenygrey. Felix Baumgartner‘s amazing space jump took over yesterday’s blog, postponing my eagerly awaited debut, because I was going to give credit to Zemanta for providing an instant research idea and connection between the Epic of Gilgamesh and the Wizard of Oz. 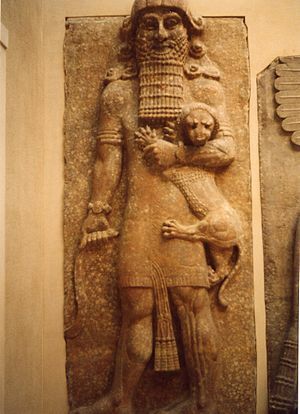 Because don’t you think that Gilgamesh carrying Enkidu looks just like Dorothy carrying Toto 4000 years later. We don’t know if Wizard of Oz writer, L. Frank Baum, was aware of the Epic of Gilgamesh, or just thought a dog-sidekick was a good idea for the story, and it’s a coincidence. Do people like Paris Hilton carrying their toy dogs around unconsciously carry around a little bit of our lost wilderness without knowing it? We don’t know, like we didn’t know about the possible relevance and connection between Gilgamesh and Enkidu and modern day real and fictional travellers until reading Inside the Neolithic Mind.